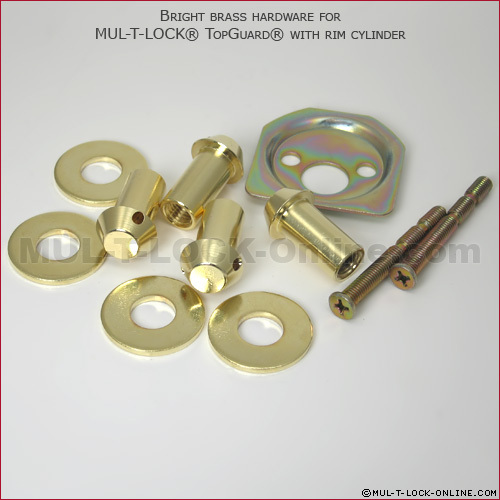 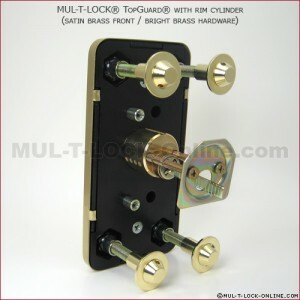 MUL-T-LOCK's Top-Guard is a reinforced hardened steel face, concealed by a decorative coverplate protecting a MUL-T-LOCK Rim Cylinder. 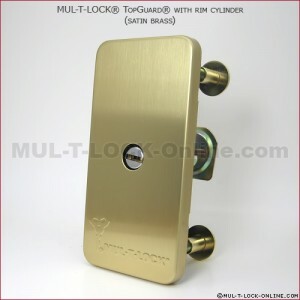 Designed to uphold to the most determined attempts of physical attack the Top-Guard takes cylinder security to the next level. It greatly enhances the security of Segal® lock and many other brands of rim type locks (jimmyproof deadbolts, deadlocks, dropbolts, slam locks).